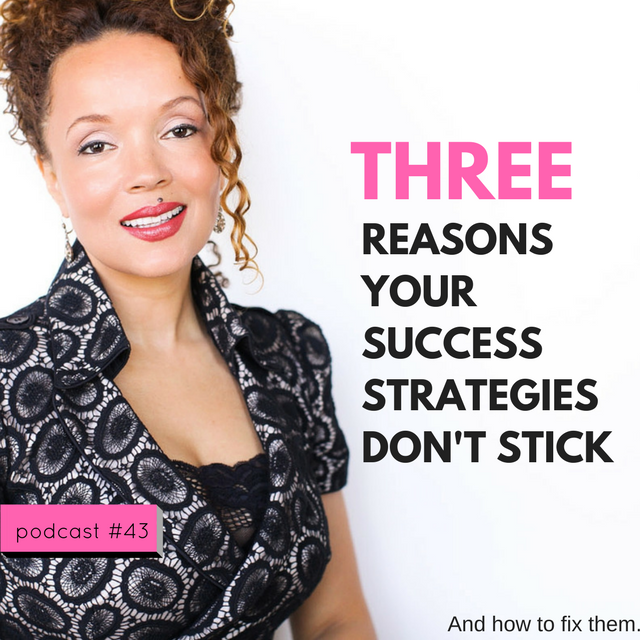 Why success strategies don’t stick. Have you ever read a book, seen a movie, watched a talk, or experienced a life event that motivated you to change your life forever? Have you also had that motivation slowly transform from a tidal wave to a trickle? Yes on both counts, right? It’s not at all uncommon. In this show, I’m sharing the top three reasons that your motivation wanes and you don’t follow through on your dreams. I’ll show you how to turn these limiting causes into happy success magnets. Best of all, the teachings shared in this show will enhance your personal well-being, confidence, and life-wide success. Grab a glass of green juice, tea, or wonderful water, a pad of paper, a pen, and bring an open heart and growth mindset. We’re making some changes.